Here at Harley-Davidson of Baltimore, we have a dedicated building for our large clothing department. Stop by, or give us a call, to see what we have in stock and what we can order for you! 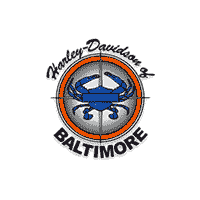 Welcome to the Harley-Davidson of Baltimore Clothing Store! We stock the latest in riding gear and H-D lifestyle products. It’s here at the intersection of Function, Fashion, and Fun that we provide you with the best selection and knowledgable customer service. There are many choices that effect how you can experience your ride; we are here to assist you in the process of making the best decision for your journey.